The final amount raised through the nursery Toy Sale was £515.66. We also donated left over toys and books to the nursery, the school (including the library), after school clubs and local playgroups. So thank you again for all your donations and support on the day. It will make a difference to many children. 22 March (9-12.30). I’m still looking for volunteers to help on the day. If you could spare even half an hour of your time please let me know. Hope to see you there for coffee and cake too! Welcome to DPS Read-a-thon 2015! Read-a-thon is the only fundraiser run for the libraries at Dunbar Primary School and Nursery. Without these funds we could not purchase new books, replace lost or damaged books, or outfit the rooms. It has been 3 years since the last Read-a-thon, so we are hoping for enthusiastic participation! We are aiming for the nursery to raise over £1000! Thank-you for participating! Read-a-thon officially starts on Monday February 2nd at 8:45 am. Read-a-thon officially ends on Friday February 13th at 8:45 am. 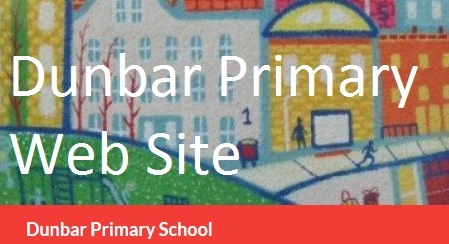 On Friday 5th December 2014 (9.00am – 12.00pm), parents from Dunbar Primary School nursery will be holding the annual nearly new toy and book sale to raise funds for nursery resources. This is a fantastic event to raise money but is also a good opportunity for you to bag a bargain ahead of Christmas! To make this event successful, we need your help. Putting up posters and encouraging friends and family to come along too. If you can help with setting up on Thursday 4th, helping at the sale on the 5th, clearing up afterwards or by providing mince pies, please pop your details on the sign up sheets outside each nursery classroom door or contact Jacqueline Preston by email on ‘jacprentice@hotmail.com’. Even if you can only donate 30 minutes of your time, it would be a great help. Helping with creating and maintaining the Nursery Gardens. Accompanying a class or smaller groups of Nursery pupils on visits to Dunbar Library. Accompanying a class or smaller groups of pupils walking to Lochend woods or the beach for Forest School. Organising social events for nursery parents so parents get to know each other.